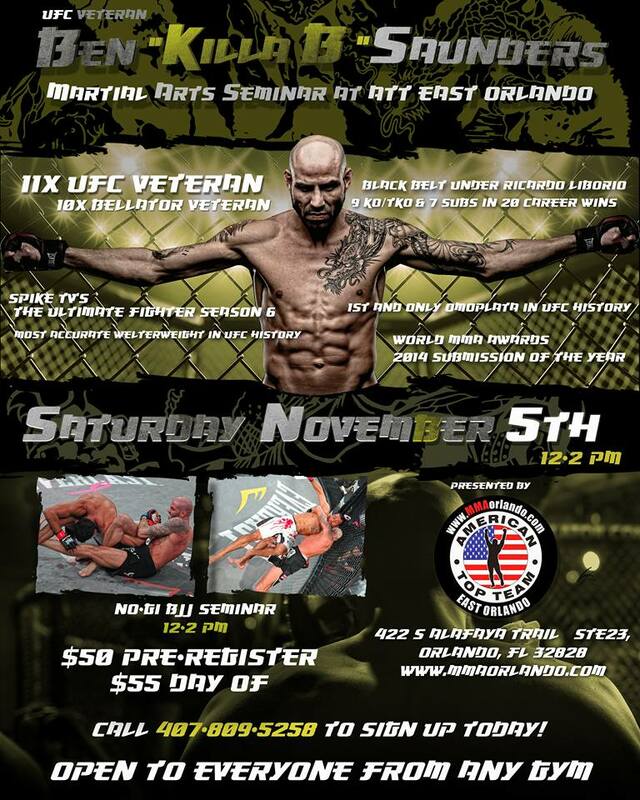 UFC and Bellator MMA veteran Ben “Killa B” Saunders will be teaching a No-Gi Submission Grappling Seminar! Ben Saunders submitted Chris Heatherly with the first omoplata in UFC history! This event is open to everyone from any gym!